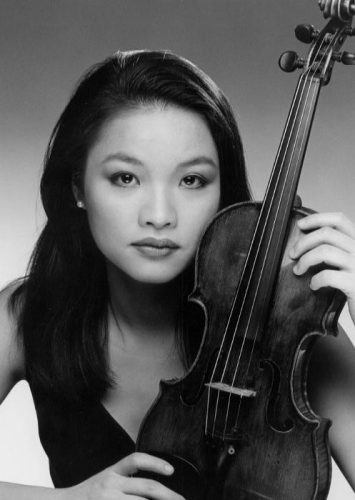 As the winner of The Artist’s International competition, Ji Eun Lim was awarded a debut recital at the Carnegie Weill hall the following year; and also made her debut at the Lincoln Center and the Kennedy Center with the Juilliard Orchestra after winning the Juilliard competition. In Korea, she made her debut with Leipziger Kammer Orchester in the 2001 Seoul International Music Festival, and also was the soloist with the Seoul Philharmonic Orchestra in the New Year’s Gala Concert. Ji Eun has appeared with numerous orchestras, toured playing recitals, chamber music concerts and international festivals in Australia, Austria, Canada, China, England, Finland, France, Germany, Holland, Italy, Japan, Russia, Singapore, South Korea, Spain, and USA. After her education with Gerard Kantarjian in Canada, Ji Eun achieved her Bachelor’s, Master’s degree and professional studies program under the guidance of Hyo Kang at the Juilliard School in New York. Her studies continued with legendary artists such as Arnold Steinhardt(Guarneri Quartet), Donald Weilerstein(Cleveland Quartet) and Norbert Brainin(Amadeus Quartet). For more than ten years, Ji Eun taught violin and chamber music at YonSei University and HanYang University in South Korea, and also at Montpellier International Music Academy and International Sommerakademie Schloss Heiligenberg.